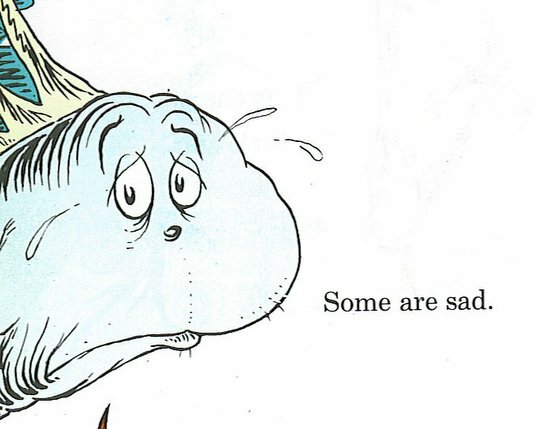 Have no fear, I am still here (or so Dr. Seuss would say in his unique and catchy way). I have been going through an emotional upheaval and change in situation that has prevented me from posting. No worries – – you won’t hear of me trashing a hotel room or shaving my head and using lawn furniture to beat the media away, a la Britney Spears (although that could definitely make my little blog a hot topic). I am still reading others’ blogs and posts, even if I don’t comment. I will write more about what is going on with me in the future. Is it true that emotional duress can bring out the best in your writing? I’m curious to know what you all think. I was wondering where the first friendly face to welcome me to the blogoshpere has been. I miss seeing your posts. I hope things gets better soon. Thank you, Melissa. I am still here and things will get better with time. Hopefully everything that is going on will either improve my writing or impact it positively. It hasn’t brought out the best in mine because I have just been procrastinating since my upheaval (nothing new, really). However, I’m seeking to remedy that forthwith! With a lot of upheaval, it’s hard to focus your mind at times – – much less bring out that creativity! I actually want to write about my personal situation once things are a bit more settled. I guess that’s my writer personality – – I can always express myself better in writing! But I do understand feeling crippled at the thought. Sometimes I find myself frozen in fear at beginning something, even when it’s an incredible idea. I’ll definitely keep writing. You too, T! So true. Dr. Seuss or Pooh! Always great go-to sources for “what should I do”? Thanks so much for stopping by and posting Susannah.